Here are my top 10 reasons why NY Islanders fans shouldn’t panic with five games left. There is plenty of good news to go around. The Islanders are currently tied for second place with Pittsburgh in the Metro division. They are three points behind first place Washington, and four points ahead of Carolina who has a firm grip on the top wild card spot in the Eastern Conference. They are still seven points ahead of Columbus who is in ninth and on the outside of the playoff picture looking in. The playoff bubble projects to be 96 points. The Islanders would only need one win to eclipse that number. The maximum bubble is 99 points because Montreal plays Columbus on Thursday, and that is what the loser can obtain, even with the loser point. The Islanders would only need to play NHL .500 in their last 5 games to eclipse that total. The last five games of the season will be tough no matter who they are playing. These games will be particularly tough, but will serve as a good experience for a young team with little to no playoff experience. @Winnipeg The Islanders lost their only game against the Jets this year, but the Jets are a pedestrian 6-4-0 in their last 10. Buffalo. They have split their season series so far. Both home teams have won 3-1. The Sabres are a mithir serable 1-8-1 in their last 10. If the Isles lose this one at home you might want to start looking for the panic button. Toronto. They are 2-0 against Toronto this year and have outscored them 10-1. There’s another narrative at play here as our favorite ex-Islander may be shooting for his first 50 goal season. Toronto is a meh 4-4-2 in their last 10. This is a good matchup on paper, but there will be a lot of emotions on the ice and in the stands. It should be a fun one. @Florida. As exciting an atmosphere April 1st will be at the NVMC, is about how dull I expect the arena to be on April 4th in Sunrise. Florida was done months ago and they’re 5-5-0 in their last 10 and on a current 3 game losing streak. The scary part… The Islanders are 0-1-1 against them. Barry Trotz will need to find some motivation to get his clearly superior team to defeat their ex-coach. Panther’s assistant, Jack Capuano, probably knows the Islanders better than he knows his own team at this point. There are some scenarios where this game can clinch playoffs, or home team advantage. That should be enough motivation because you don’t want to go into the last game of the season with those things hanging over your head. @Washington. The final game of the season can mean so much… or it can just be 60 minutes of practice for two teams preparing for the playoffs. Unless it is for first place in the Metro, let’s hope it’s the latter. The Isles are 1-2-0 against the current Metro leaders and they have been playing well of late. The Caps are 6-3-1 in their last 10 and the current Stanley Cup champions seem to be firing on all cylinders going into this year’s tournament. If there is one thing that has made this season vastly different than any other since 1994 it’s Barry Trotz. For the first time in 25 years the Islanders have been led by an experienced, Stanley Cup winning coach. The results so far have been fantastic, and there’s no reason to doubt their future. The defense first philosophy brought in by Lou Lamoriello has been embraced by every member of the organization. It may not be pretty to some, but winning is. Currently the Islanders have given up 188 goals against. That is the lowest in the Eastern Conference and tied with Dallas (who has played one fewer game) for the league lead. This is mostly due to the overall defensive strategy. You don’t get their from the team with the worst GA total in the league without stellar goaltending. Robin Lehner and Thomas Greiss have been, by far, the best goalie tandem in the league. They are third and fifth respectively in save percentage in the league. More importantly they are first and second in the eastern conference. It appears that Robin will be the “hotter” of the two as they enter the final five, and the playoffs. There will be almost no drop off in expectations should the first starter fail. For the first time in over a decade, maybe two, the Islanders have SEVEN NHL caliber defensemen. The improvements of the young four at the core over the past four months has been exceptional. Ryan Pulock is a legitimate top pairing defenseman who has shown he can play in all situations. That was expected since his pro debut in Bridgeport. But it wasn’t expected from the rest of what could be considered the rest of the top four. Adam Pelech, Scott Mayfield and especially Devon Toews have performed well within the scope of being called NHL “Top Four” defenders. That is status earned by the other three defensemen (Nick Leddy, Johnny Boychuk and Thomas Hickey) years ago. Going into the playoffs with seven NHL defenseman is unfamiliar territory for the NY Islanders. It will present a strong foundation for whoever their opponent might be. The most worrisome part of the team in October was their center group. After losing their 2009 number one overall selection to free agency the organization went into panic mode. They had last year’s Calder Trophy winner, a perennial 20 goal enigma, and the pivot of what was once considered the best fourth line in hockey. If nothing else, Lou Lamoriello and Barry Trotz are astute assessors of hockey talent. Lou went out and acquired Val Filppula and Jan Kovar to compete with Stephen Gionta and Tanner Fritz for their vacant center roles. They also had some prospects that needed some AHL development. All we, as fans had, was hope and fear… not particularly in that order. What transpired over the next 5 months shows what good leadership and instruction can create from, well, not much. Instead of trying to break scoring records Lou immediately identified the need for two way play by subtracting Kovar from the roster. Barry Trotz has done masterful work transforming Nelson and Barzal into defensively conscious 200 foot players, though young Mr. Barzal is still a work in progress. The acquisition of Filppula was the highlight in hindsight. He became the long sought after replacement for Frans Nielsen by almost every measure. Stephen Gionta basically proved that his time had come and gone. The top four centers have been identified. Nelson, Barzal, Filppula and Cizikas got this team to first place in the Metro Division. They also created some depth at the position. Something nobody thought would ever happen this year. They cut Tanner Fritz late, but knew that he could play in the NHL He’s been proving that as a replacement for injured Val Filppula. One of the more pleasant surprises from Bridgeport this year was the development of Otto Koivula after moving him from wing to center. He still needs some work, but with an off season to work on his skating and another year of AHL work the Islanders could have a legit middle six center in the wings. If they sign Nelson, Filppula and Fritz they should be in a good place going forward. They could fish for something better in July, but more importantly they will probably target a center in June. If you’ve gotten this far you understand that the Islanders are playing for position in, rather than to be in, the playoffs. Given their October expectations this is all gravy. It is well beyond even the most optimistic predictions. I consider myself among the most optimistic of fans, and still only had them as a bubble team, about where Columbus is now. Any entry, even a “back in” has got to be looked at as a victory given that lens. Currently the Islander project to be well within range to pick up one of the top centers in the draft. I like the choice presented in TSN’s Mock Draft here. They should have a wider selection earlier in the draft unless they have an incredible playoff run. The one good thing about “standing pat” at the trade deadline is that they still have all their prospects, and their 2019 first round pick. This may also be a time to shed some contracts (Nick Leddy) for a few more picks. It should be a positive few days for Islanders fans, especially with their scouting staff’s recent June successes. There are currently 9 pending unrestricted free agents on their roster. They also have over $30M in cap space for 2019-20. I expect them to sign 5 of their UFA’s (Lee, Nelson, Lehner, Filppula, Fritz) at a cost of around $23M per year. Possibly shedding a contract or two, and Andrew Ladd’s likely LTIR status should give them some ammunition to target big game on July 1st. This hasn’t been the case for decades, but the team may be a bit more attractive thanks to the new attitude ushered in by ownership, Lamoriello and Trotz. 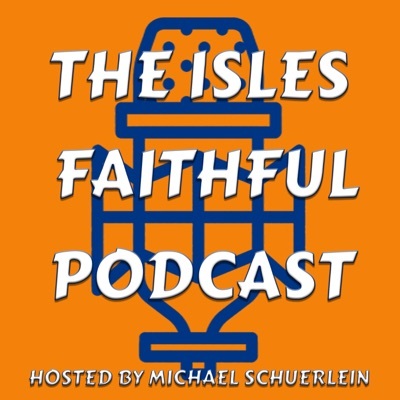 July will bring, if nothing else, some heightened interest for Islander fans. Just scroll up. The team should start next season without the 20 game learning curve they had this year. Their biggest question mark might still be their power play. Their defensive and penalty killing issues were certainly addressed and mostly resolved. They should be able to start the season in competition for the Metro Division. Something they didn’t really avail themselves to until December. They already have half their home games scheduled for the Nassau Coliseum and hopefully this year’s success will help improve attendance numbers at Barclay’s Center. Things are looking good. This is no time to panic. It’s time to celebrate a season of improvement and the beginning of the playoff season… something we’ve missed the past two years.